Nestled near the small township of Walton resides Rich Hill Stud on 320-acres of prime luscious Waikato land. Having bred one Melbourne Cup winner, the stud this year imported a new stallion from Japan in the hopes of continuing their proud legacy. Rich Hill Stud was a part of making history when their establishment stallion, the late Pentire, sired the 2015 Melbourne Cup winner Prince of Penzance and gave jockey, Michelle Payne, the opportunity to be the first female to win the race that stops a nation. The Group One winning son of Deep Impact, Satono Aladdin, has lived up to his father’s name because he created quite the impact on the New Zealand Breeding Industry when he was announced to be joining the Rich Hill Stud stallion list. 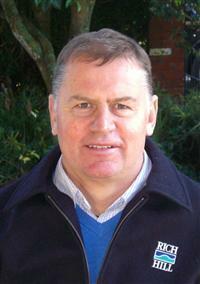 Rich Hill Stud Managing Director John Thompson (pictured) thinks that the stud lucked out with Satono Aladdin. Thompson said that the stud made a deal with Shadai Stallion Station, where they procured the late Pentire from, to shuttle the horse between Japan and New Zealand for 2018. Stallion Manager Tim Faras is a recent addition to the team but with more than 40 years’ experience working with thoroughbreds and stallions, was up to the task of managing the five stallions this year. The luscious greenery surrounding Rich Hill Stud is quite different to the South Korea stud environment Faras has been working in for the last six years. Faras puts their natures down to how they were raised and their environment. 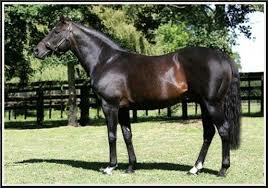 Satono Aladdin’s presence on the farm comes after the establishment stallion Pentire died in November last year. “It was really hard for everybody,” Thompson said. At the age of 25, Pentire was still covering mares which was very unique. Thompson said that Rich Hill Stud was lucky to have him. “He was such a great stallion,” Thompson said. Pentire left behind a group of people who miss him dearly and some incredibly progeny, including Mufasa (or King Mufasa as he was known as in Australia). King Mufasa was bred by Thompson and his father, who went onto incredible feats people could not believe possible. King Mufasa won his first race as a two-year-old and was still going strong as an eight-year-old. “He [Mufasa] is underestimated as one of New Zealand’s all-time greats,” Thompson said. Rich Hill Stud hopes to keep their legacy, what Pentire started, going through their other five stallions, including Japanese import Satono Aladdin. “I think people realise he [Satono Aladdin] offers a fairly unique opportunity,” Thompson said.